Director of BBC Children’s since February 2015, Alice added the BBC in the North to her remit in May 2016.
radio stations. In 2016, she launched the BBC’s Big Digital Plan for Children, outlining how the corporation will keep pace with the rapidly changing way in which children consume content. This was followed by the launch of a dedicated children’s iPlayer app in 2016 and the largest new investment in content for children for a generation in 2017 – £34m over three years. Passionate about the BBC’s presence in the north, Alice’s extended remit sees her drive creativity, collaboration and local partnerships across the whole of the north of England, building on what has been achieved in the last six years. She has already played a huge part in the success of BBC North since the move in 2011 and enjoys the leading the BBC right across the North alongside her leadership of the BBC’s children’s services. 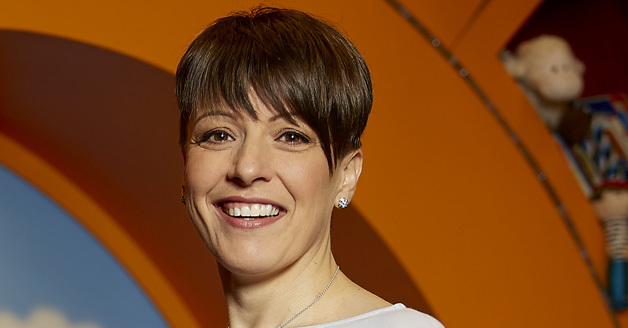 From 2011 to 2014, Alice was Chief Operating Officer (COO) for BBC North and successfully orchestrated the biggest BBC move outside of London when key BBC departments including Sport, BBC Children’s, 5 live and BBC Learning moved to Salford. Around 35,000 hours of output a year across TV, Radio and the Red Button are now made in the North, with 3,000 staff based at MediaCityUK. Originally Alice was a charted civil engineer – working on large scale engineering projects in the UK and overseas. Alice supports a range of external organisations, including being a member of the Royal Foundation’s Cyberbullying Taskforce and a Trustee of BBC Children in Need. She lives in the North West with her family.